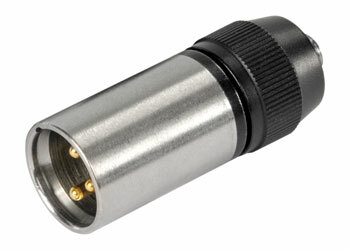 The VT1126 phantom adapter is a small unit that allows hard-wired use of miniature lavalier microphones. It converts 48V phantom to electret power and puts out the audio as an electronically balanced signal on an XLR 3-pin male connector. A range of models is available with standard sockets to fit various plugs.